I’ve been working on this project for a little while and am glad to finally be able to share it tonight. 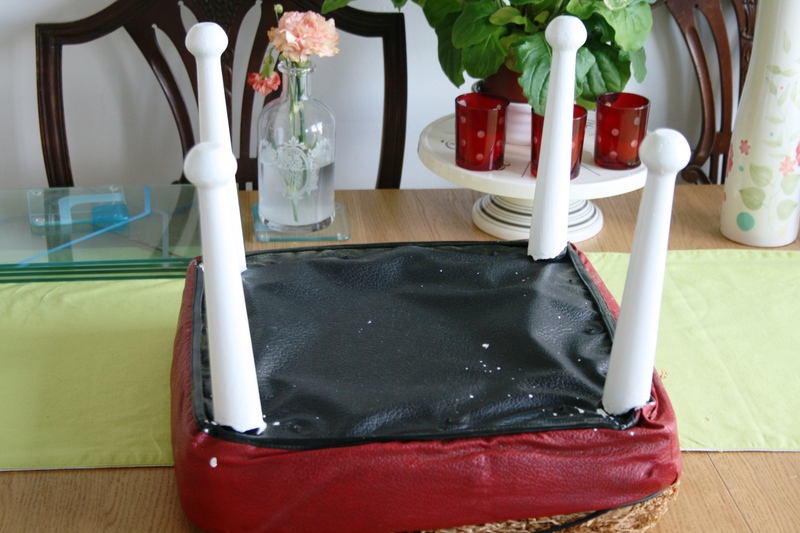 My neighbour had her kitchen renewed recently and as she was clearing out her home, she offered me this foot stool as she no longer wanted it. As soon as I saw it, I realised that this was the perfect little project for me – something that would be a great addition to our home, but not too time consuming to complete. 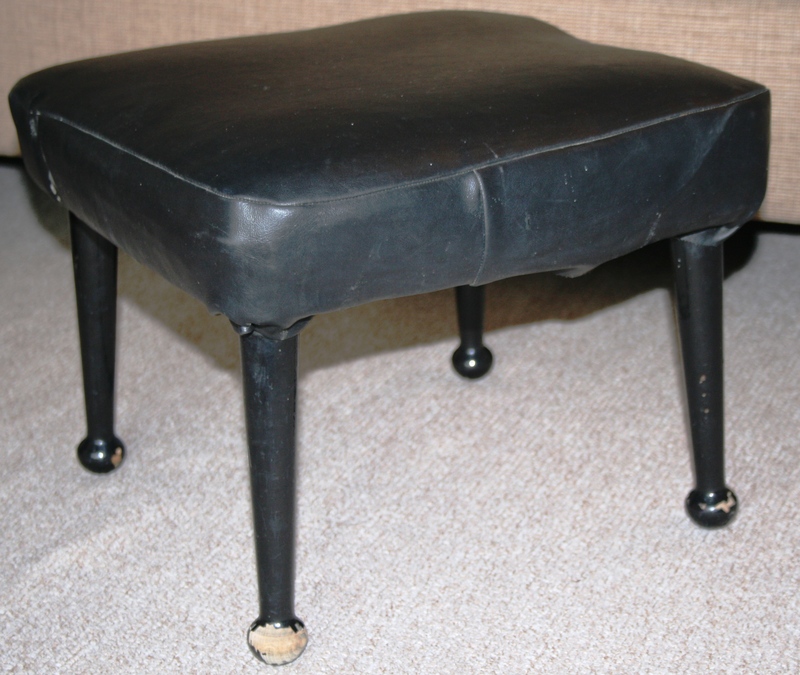 Firstly, I removed the leather from the foot stool. It was screwed into place so once I found my screwdriver it was a pretty easy job to take off the leather. As you can see I got some paint on the underside of the stool but I wasn’t too worried as a: you don’t see the underneath and b: I was going to cover it anyway! Next it was time to grab some fabric. I had fun picking this out. 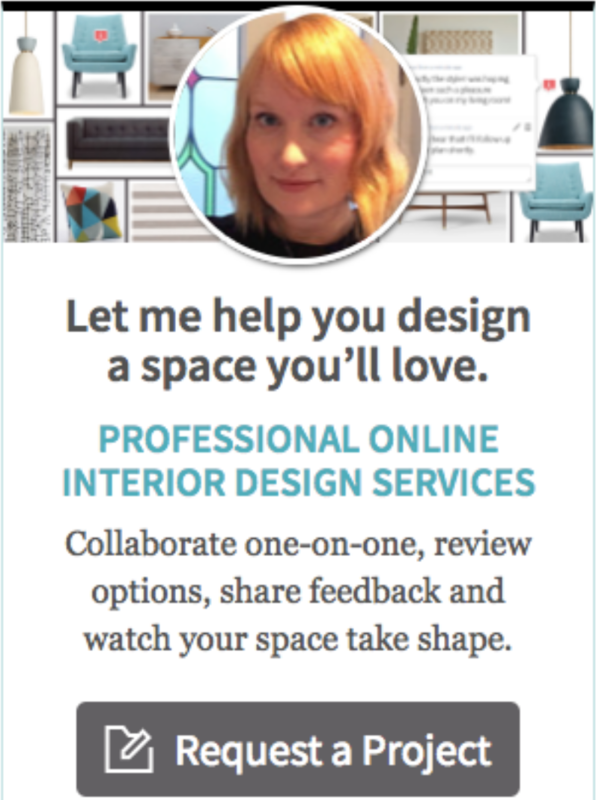 I bought it from John Lewis – I found it when I was sourcing for an Interior design project for my last college brief. 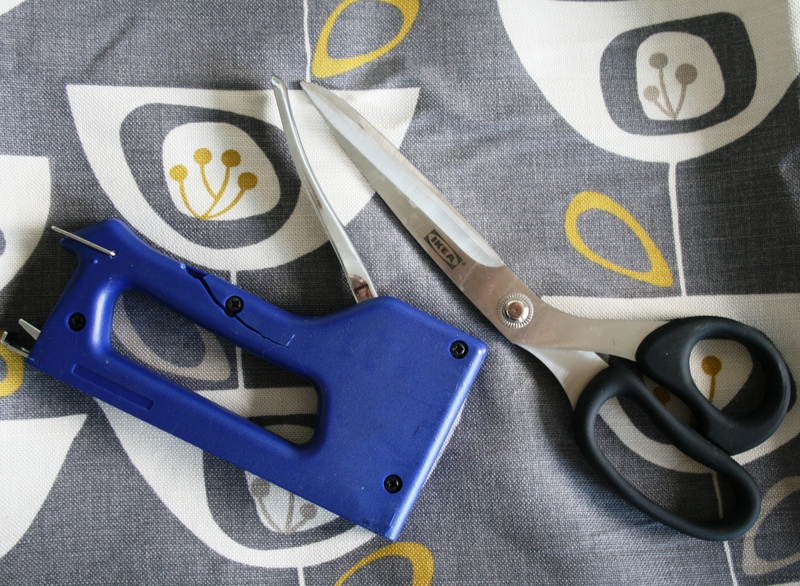 You also need a good pair of fabric scissors and a staple gun. 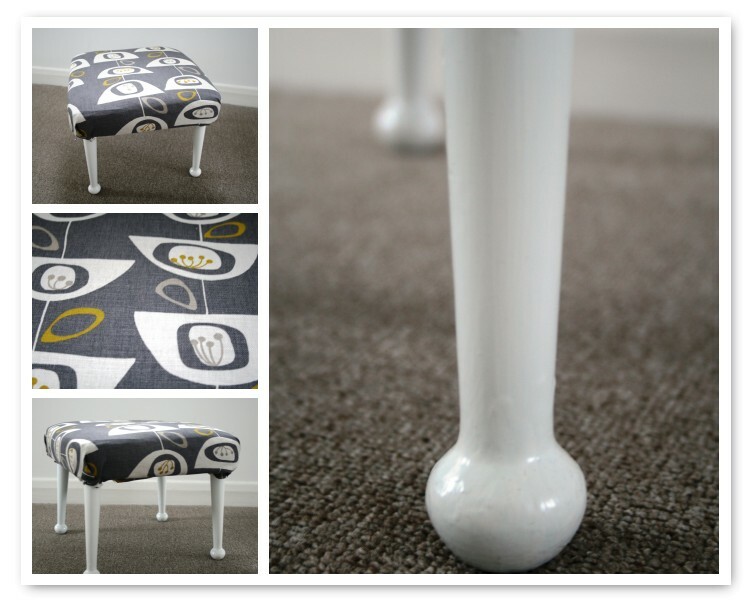 Finally, cut the fabric to size and place it underneath the stool, wrong side facing up. Pull up the fabric to cover the sides and staple into position. Repeat for all 4 sides, ensuring you pull the fabric tightly. 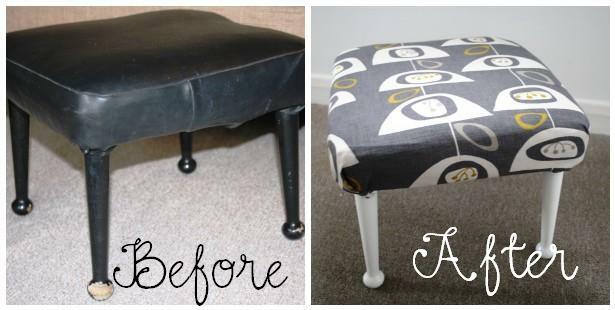 I watched this video before I stapled my fabric as I haven’t reupholstered anything before! Right, well I’m off to send some emails. I’ve been planning some new blog posts today and have 2 new regular features that I’m currently working on and hope to launch next week. Very exciting! P.S: I’ll be uploading this to the Project restyle group on Flickr. It’s very inspiring, check it out!